For me, this game had everything. I was just getting into football at the age of 10, and having just lived in a country where football is a completely different sport it was still very brand new to me. I had followed the drama of the season, and the buzz in the DC-MD-VA metro area was palpable. There simply was no other topic of conversation, even among the folks who didn&apos;t follow football much. And then it happened. It was athletic drama at its best: an injured quarterback returning to the lineup to make history, a team about to be blown away rallying like none ever had before in National Football League postseason play. It was wacky and wild and, for the Washington Redskins, perfectly wonderful. 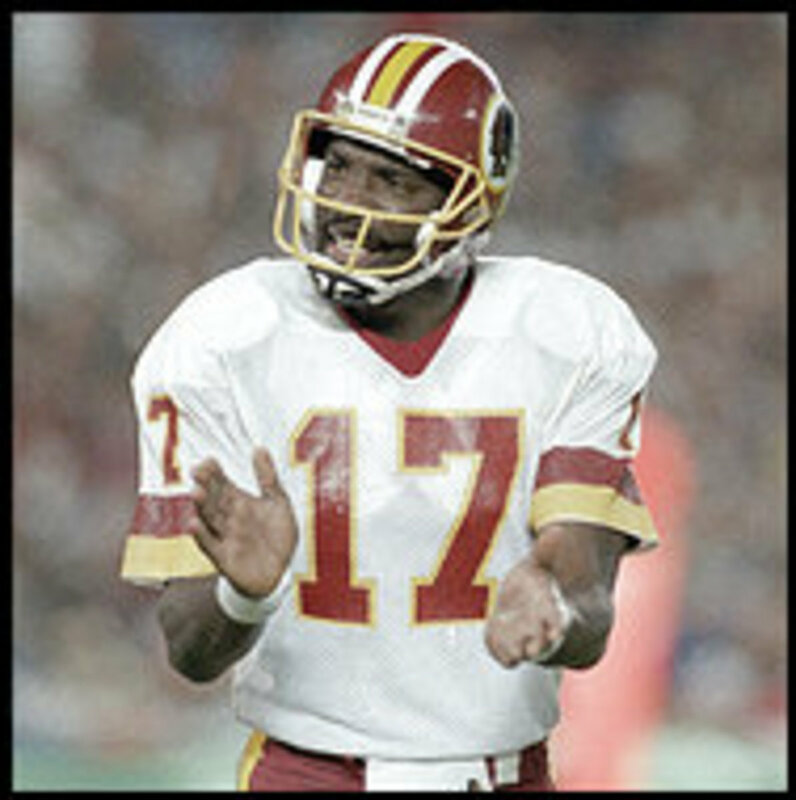 On the powerful and unerring arm of quarterback Doug Williams, who culminated a storybook season with four touchdown passes in the second period, the Redskins rallied from a 10-0 deficit to trample the Denver Broncos and win Super Bowl XXII, 42-10. No team had ever scored 35 points in a quarter in NFL playoff games, and the onslaught produced Washington&apos;s second Super Bowl championship in six years and ignited a coast-to-coast Redskins celebration. In a game that focused on the quarterbacks -- Williams because he was the first black to play the position in the Super Bowl, and Denver&apos;s John Elway because of his overall brilliance -- Williams staged one of pro football&apos;s greatest big-game performances. That quarter of football is when I truly and fully became a football fan and a devotee of our beloved Washington Redskins (I remember screaming my head off while hearing fireworks pop outside in celebration). It&apos;s a source of eternal regret for me that my mom didn&apos;t let me skip school and go to the victory parade, but we watched it on tv in class and half the school was out anyway.